The praise from the heavens is to come from the angelic hosts, from the lights in the firmament, and from the upper waters. The praise from the Earth comes from the sea creatures, from the weather, from the dry land and vegetation, and from the land animals and birds. Finally, praise from the Earth comes from humans in all their conditions: kings and subjects, old and young. The psalm echoes Genesis in its account of creation in a number of ways (although it does not follow that order of creation found there and makes explicit mention of the presence of the angels in creation). Most of the psalm could be reckoned as one of the “old songs,” that is, songs that praise God as Creator. This psalm, however, is not simply an old song. It concludes with the new song of praise to God as Redeemer: “He has raised up a horn for his people, praise for all his saints, for the people of Israel who are near to him. Praise the Lord!” This ending is so surprising that some critics have suggested that it really should be seen as the beginning of Psalm 148, and not the ending of Psalm 148 at all. 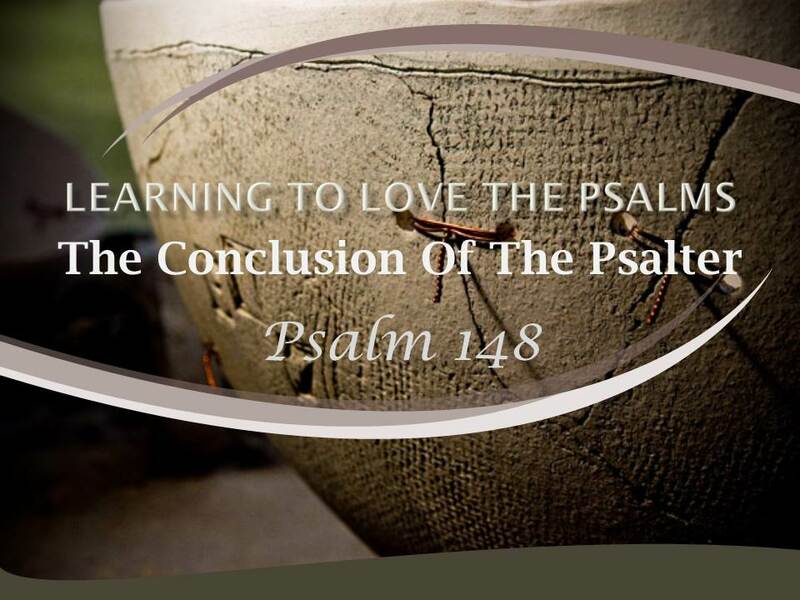 The connection between creation and Israel that we find in Psalm 148 is actually a continuation of a theme present in Psalm 147:15-20. There, too, the word of God that orders creation (especially the weather in Psalm 147:16-18) has a specific relationship to Israel and its life. God has a word that governs all creation, but he also has a unique word for his people: “He declares his word to Jacob, his statutes and rules to Israel. He has not dealt thus with any other nation; they do not know his rules,” (Psalm 147:19-20). At first glance, Psalm 148 does not seem particularly connected to the themes of Book Three. Psalm 148 seems to be primarily a psalm of praise to God as the Creator, whereas Book Three primarily focuses on the crisis of kingship in Israel. A close examination, however, shows that Psalm 148 actually celebrates God’s Word and faithfulness, demonstrating that in response to the crisis of Book Three, God does keep his promises. Psalm 148, in fact, has close correspondence to Psalm 89, the last psalm in Book Three. The heavens as a sign of God’s reliability is a prominent theme in Psalm 89: “In the heavens you will establish your faithfulness,” (v. 2); “Let the heavens praise your wonders, O Lord, your faithfulness in the assembly of the holy ones!” (v. 5); and “Like the moon it shall be established forever, a faithful witness in the skies,” (v. 37). 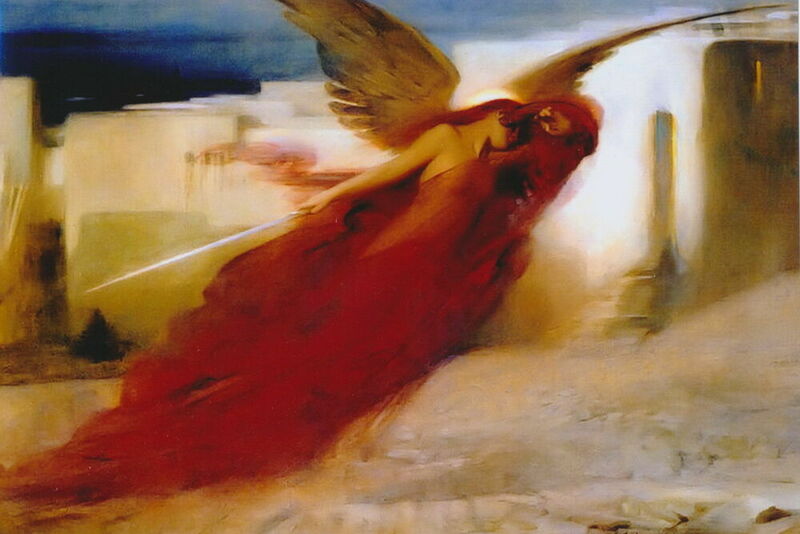 Also, Psalm 148:14 celebrates the victory that God gives to his king: “He has raised up a horn for his people.” The king as the horn whom God has exalted picks up an important element of Psalm 89: “For you are the glory of their strength; by your favor our horn is exalted,” (v. 17); “I have exalted one chosen from the people. I have found David, my servant,” (vv. 19-20); “My faithfulness and my steadfast love shall be with him, and in my name shall his horn be exalted,” (v. 24). God’s exaltation of the horn of David and his promises that David’s sons will always sit on his throne are the messages of Psalm 89:1-37. But Psalm 89:38-51 laments the failure of God’s promise to David. That failure is expressed in Psalm 89:42: “You have exalted the right hand of his foes; you have made all his enemies rejoice.” Psalm 148 answers the crisis of Book Three by declaring that the horn of David will indeed be exalted and the promise will not fail. Psalm 148 helps us see that the dilemma of Psalm 89 is resolved in God’s faithfulness and in God’s exaltation of his king. That theme is taken up in the New Testament and is fulfilled in Jesus, great David’s greater son. In the book of Revelation, we see a clear connection drawn between Jesus and the Davidic king of Psalm 89. Revelation 1:5 pronounces a blessing on the people “from Jesus Christ the faithful witness, the firstborn of the dead, and the ruler of kings on Earth.” That Jesus is the faithful witness is drawn from Psalm 89:37: “Like the moon it [David’s throne] shall be established forever, a faithful witness in the skies.” And Jesus as firstborn and ruler fulfills Psalm 89:27: “And I will make him the firstborn, the highest of the kings of the Earth.” Jesus is indeed the horn of David exalted for the salvation of his people. In Jesus, all of the promises of God are fulfilled and his faithfulness to his people is displayed. Jesus is the horn that God has raised up for his people, (Psalm 148:14). Why might this psalm be reckoned as one of the “old songs” that praise God as Creator? What new song of praise to God as Redeemer is included in this psalm? Why is this surprising or significant? In what ways does this psalm stress that God always fulfills his word and that we can see his faithfulness clearly in his creation and providential care for the world? How does Psalm 148 help us see God’s faithfulness and his exaltation of his king? How is that theme taken up in the New Testament and fulfilled in Jesus?